"Do I really need to hire a professional photographer? They're just snapping pictures, how different can it be from hiring my friends daughter who has a camera?" Hiring a professional to take your photos is crazy important when it comes to big milestones. Even for non events (update your profile pic anyone? ), the difference between a pro and a beginner photographer is huge. Now, please know I'm not bashing beginner photographers here. I, along with every other photographer in the world was once a rookie. We all start somewhere. My hope is simply to show you the difference between a beginner and a professional photographer (via my own personal experiences) and let you decide how you want to invest your money into photography on your own, especially when it comes to important occasions. 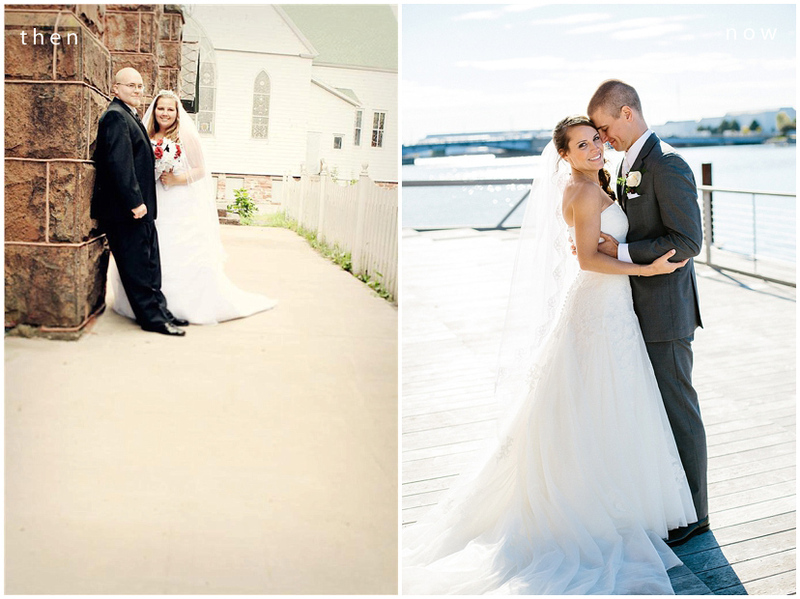 The very first wedding I shot on my own in 2011 on the left to one of my more recent weddings. There I am at my first wedding with the sweetest bride. When I first started out in wedding photography, I was lucky enough to start as an assistant photographer to a local wedding photog, exclusively second-shooting all of her weddings. With only two weddings under my belt, I was asked to photograph my first wedding that first summer; I was nervously excited. I knew I wasn't a pro yet and clearly communicated this to my client. She completely understood, said she trusted my skills and I accepted two hundred bucks as payment. I got all the important shots that day and the bride loved her photos, kindly referring me every chance she got. My photos weren't bad, but I had a huge learning curve ahead of me to get me from where I was then to the work you see from me today. I am SO grateful to my first clients for trusting me and giving me the opportunity to photograph such special days for them without lots of experience. I've spent so many hours, weeks, months of my life pouring into education, practice and honing my skill since then. Listen, I know I will always have more to learn, but I'm certain of my value as a professional photographer (and price of my work) where I'm at today. While I was able to capture the wedding day as best as I knew seven years ago, I wasn't able to offer my clients the skill, security and style I can deliver today. I get asked all the time how I get my photos to look like they do, what software I use to edit, what kind of camera I have and the honest truth is the combination of those things aren't going to make you a professional or not. Only experience can do that. The difference between a beginner photographer and a seasoned professional doesn't just boil down to simply the price you pay. When you hire a pro, you're paying for high-quality photos that can only come from years of expertise and education. You're paying for a business that is licensed, insured and able to protect itself (and you). You're paying for experienced guidance on your wedding day that can't come from someone without experience. You're paying for a photographer who can work in any sort of lighting and who is trained in making you look your best. You're paying for a service that requires skill beyond the expensive tools and gear used. This is only the tip of the iceberg my friends. 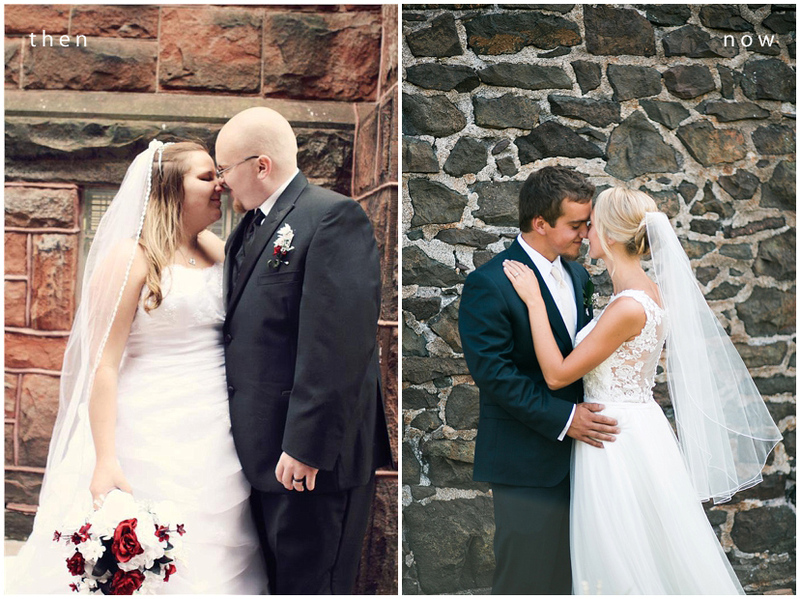 Since photography is my language, let me show you some THEN and NOW photos from my first wedding in 2011 to now. So, when you start to compare photographers for your wedding day, keep in mind that while you can get a steal of a deal and decent photos from a new photographer, the level of service you'll get from a professional cannot be beat. Just like you wouldn't go to a hospital for surgery and opt for the med student to perform it for a cheaper deal because you know they don't have professional skills it takes, you cannot expect professional quality service from a photographer just starting out. Do what you feel is best for you and your budget, but I encourage you to manage your expectations so you know what you're getting and you end up with photos you LOVE. In the end, that's all that matters.